Okay, I have a confession. I buy crescent rolls from a can. Sometimes. I know, I know…. Probably only twice a year. My son loves them and I admit I kind of like them too. I know I preach about not buying cinnamon rolls from a can so I feel kind of weird admitting this. Wednesday I accidently forgot to buy the can of rolls; and there was no way in heck I was going to maneuver the gauntlet store on Thanksgiving day just for a can of silly rolls. I always have packages of yeast in my cupboard, so I did what I should have planned from the beginning. I made rolls from scratch, and I’m so glad I did. 1/2 an egg: (whisk and egg w/ a fork in a small bowl, then use 1/2-comes out to about 2 Tbsp. if you measure it). 1. In a small saucepan combine the milk, 1/4 Cup butter, and scant 1/2 Cup sugar until the milk is very warm (scalded) but not boiling. Pour this mixture into the bowl of a stand mixer. 3. To prepare the yeast: in a small bowl combine the 1 Tbsp. yeast, 1 Cup warm (not too hot-or you will kill the yeast) water and 1 1/2 tsp. of sugar. Stir quickly to combine then let sit for about 5 minutes or until the mixture bubbles and appears foamy. Once yeast has bubbled, add it to the mixer bowl and continue to mix on slow/stir mode while you prepare to add remaining flour. 4. Add 3 C. of flour and mix together on medium/low speed. When mixed together, slowly add in enough remaining flour a little at a time until the dough is just slightly sticky. The dough should gather around the dough hook. 5. Prepare a large bowl greased with butter. (I used the paper from the butter to do this). Scrape the dough into the prepared bowl and cover lightly with plastic wrap and sit in a warm place to proof until mixture appears to have doubled. This should take about 40 minutes. 6. Divide the dough into 2 equal parts and roll each ball into a circle on a floured surface so that the thickness is a little less thick than 1/4 inch. Rub the circle with 2 Tbsp. of softened butter. Cut the circle into 12 equal wedge portions (like you would a slice of pizza). Roll each wedge crescent style starting from the back edge and place on a greased baking sheet. You want the tip end of the rolls turned under when you place them on the sheet pan. Place rolls on sheet pan so that across you have 3, and length wise; 8 deep. Prepare and roll out the 2nd ball of dough the same, and place rolls until all 24 rolls are placed on sheet tray. Curve the ends of the rolls forward slightly. Cover tray lightly with plastic wrap and let rolls rise until doubled. The rolls will push each other and touch until snug. This is what you want. 7. Bake the rolls in a preheated 350° F oven for about 15-20 minutes or until rolls are just turning lightly golden. Remove from the oven and brush top of rolls with melted butter. Let cool and serve warm or at room temp. 1. In a small sauce pan scald the milk, then remove and add in the butter and stir until melted. Add the water. Set aside to keep lukewarm. 2. In the bowl of a stand mixer whisk 2 1/4 Cups of the flour with the yeast, sugar and salt. With the paddle attachment add in the milk mixture and blend. Add in the egg and beat well. Add in the additional cup of flour a bit at a time until the dough pulls away from the sides of the bowl. Note; depending on the humidity you might have to add an additional 1/4 to 1/2 cup more of flour. Switch to the dough hook and knead the dough using the mixer for about 5 minutes until the dough comes together in a ball. 3. Coat a large bowl with a little oil and place the dough inside the bowl and cover with a tea towel and let dough rest for 15 minutes. 4. 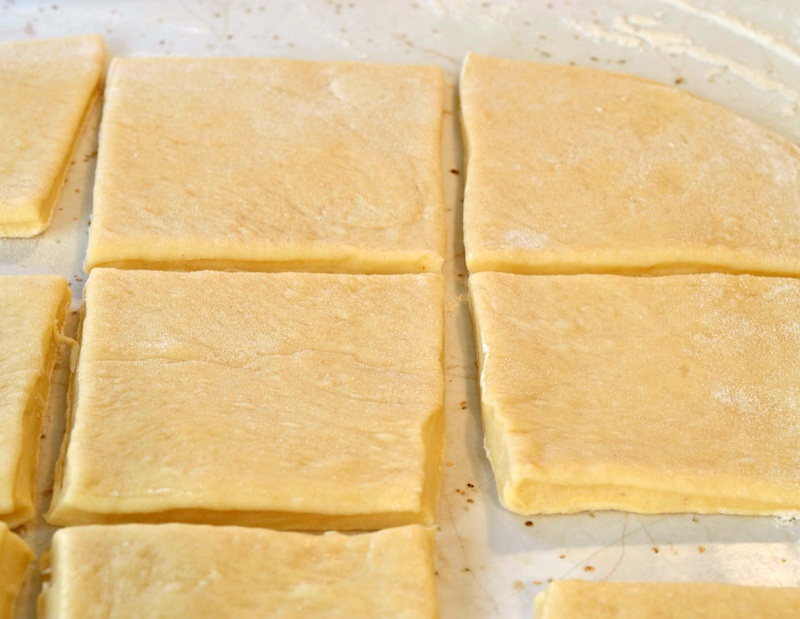 Roll out the dough into a rectangle about 16 x 13 inches. See recipe below for filling. Prepare the filling by using your fingers to spread the 1/4 Cup of softened butter all over the surface of the dough except leave a border about 3/4 of an inch on all sides. Combine the sugar and zests well in a small bowl and sprinkle evenly over the butter. Scatter the candied orange zest over the sugar mixture. Using your hands pat the filling mixture down into the butter. Roll the dough into a log starting at the bottom edge. Pinch the seam down the length of the dough. Trim the ends of the log if necessary if too thin. Using a sharp serrated knife cut the log in half then each half cut into 6 equal pieces so you have 12 equal pieces. Spray a 9 x 13 inch pan liberally. Place the rolls cut side up 3 across. Cover the pan loosely with plastic wrap and let the rolls rise for about 30 minutes or until doubled in size. 5. Spray a piece of tinfoil (large enough to cover the pan) with non stick spray. Cover the rolls loosely with tinfoil. Bake the rolls at 350 degrees F for 15 minutes, then remove the tinfoil and continue to bake for another 15 minutes or until light golden brown. Let the pan cool slightly on a wire rack while you make the glaze. 6. 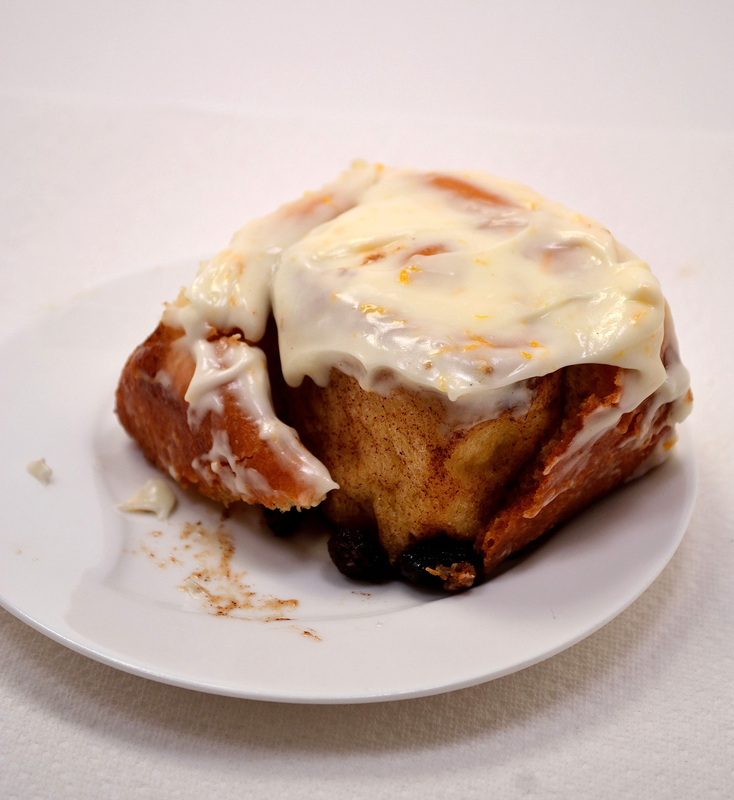 For glaze: whisk together all the ingredients in a medium bowl until combined. Pour over the warm rolls. Serve warm or at room temperature. Once glaze sets cover rolls with tinfoil to keep from drying out. I saw these beautiful concord grapes in the market the other day and I stopped dead in my tracks. I never see concord grapes. I love the contrast in flavor of concord grapes. The skin is tart but the inside flesh is super sweet. 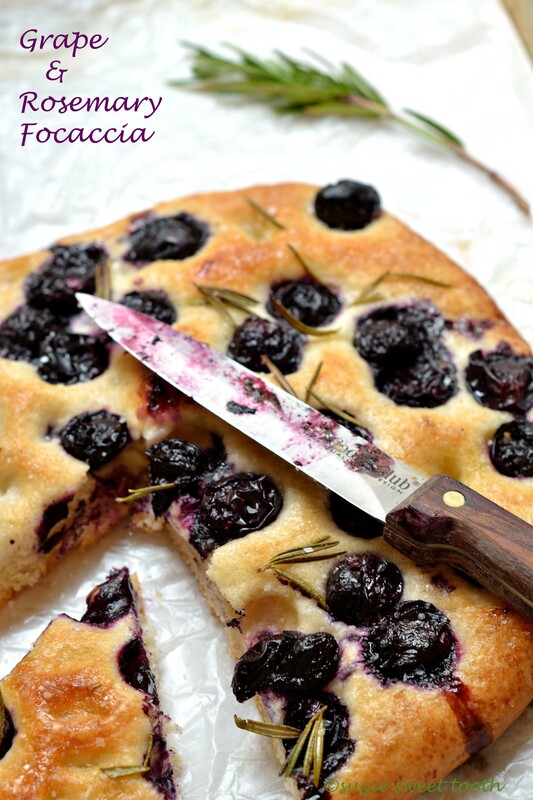 I have been hanging onto the thought of making this grape and rosemary focaccia for some time. The rosemary, no problem as I have an enormous rosemary plant growing in my backyard that is out of control. I should say it’s really a rosemary bush. In a weird way I’m kind of proud of that rosemary plant as it started out as a tiny plant, and now it has aggressively taken over major real estate in my backyard. Everyone knows I cannot grow anything worth a darn, 😦 but the exception is my rosemary plant. Quite frankly I don’t even try; it has taken on a life-force of its own. With all the fog here I don’t even water it. That’s why I love it, it’s like the big green monster that self feeds. When you enter the garden it makes a statement. As soon as you get 3 feet from it you can smell the piney fresh scent. This bread is a lovely contrast between sweet and savory. 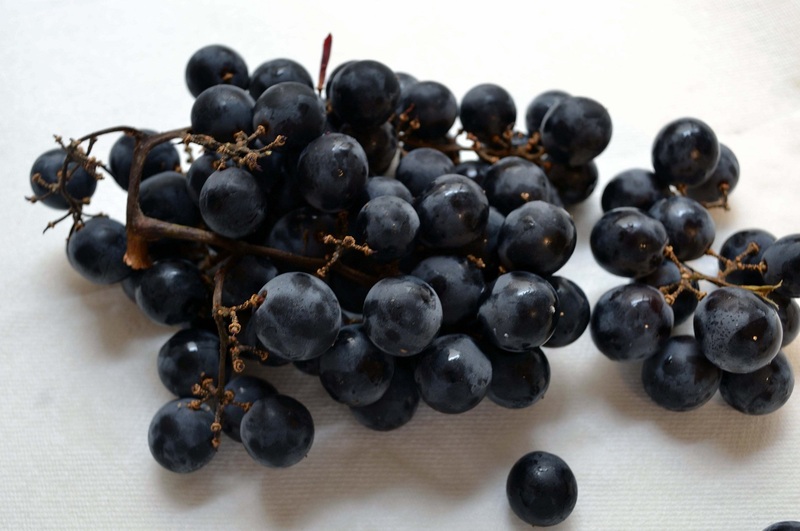 If you can’t find concord grapes you could use black grapes also. 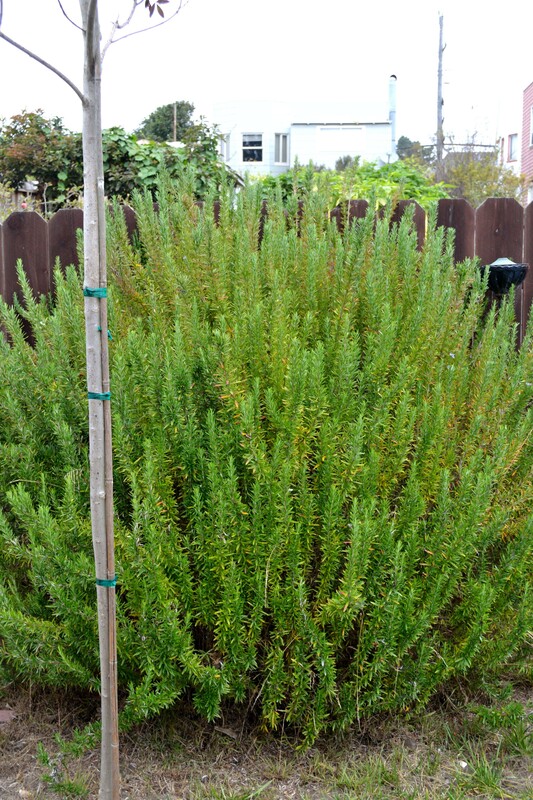 My beloved Rosemary bush-note the white dense sky- San Francisco fog in the background…. 1. In the bowl of a stand mixer combine the water, yeast and 1 tsp. sugar and whisk to combine with a hand whisk. Let sit for 5 minutes. Add the rest of the sugar, salt, olive oil and bread flour and mix with a spatula by hand. Attach the dough hook and on medium high speed knead the dough for about 2 minutes. Oil a large bowl with extra virgin olive oil and turn out the dough into the bowl, turning the dough so it coats all sides with the oil. Cover lightly with plastic wrap and let rise for 20 minutes. 2. Spread olive oil over a large sheet pan. Take the dough and press it into a large rectangle about 1 inch thick. Conversely you can spread the dough into 2 round loaves; cover loosely with plastic wrap and let rise until doubled about one hour. 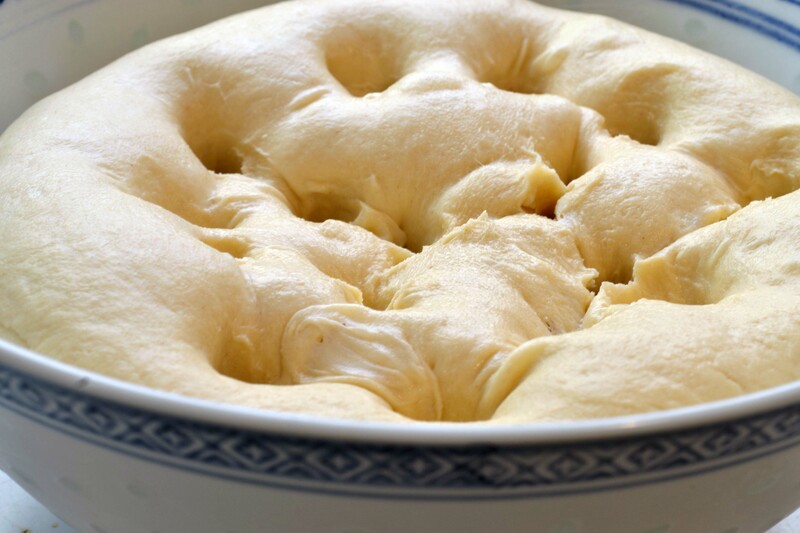 Brush the dough with olive oil and dimple the dough using your fingertips. Scatter the grapes and rosemary leaves over the dough. Sprinkle with 1 Tbsp. granulated sugar. 3. Preheat the oven to 450 degrees F. Bake for about 15-20 minutes until golden brown. Let bread cool about 15 minutes then sprinkle with kosher salt. Serve warm. 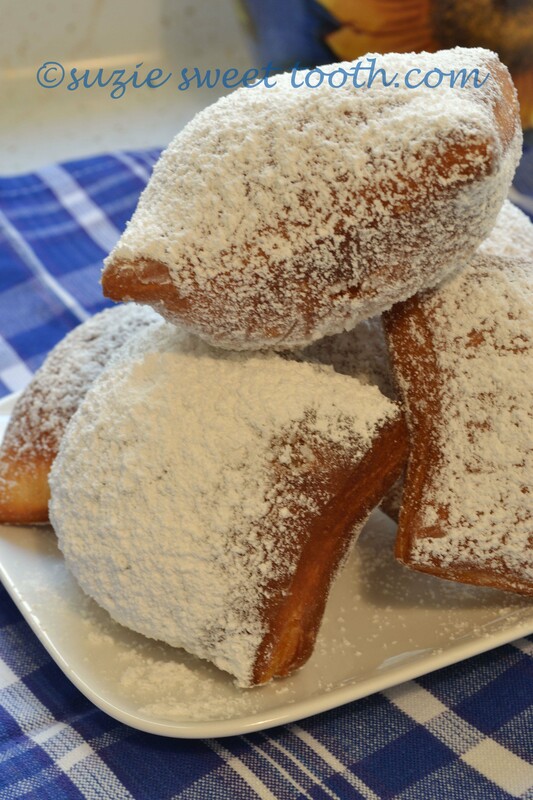 Years ago we vacationed in New Orleans and it took us all of one bite to become addicted to beignets. Sweet, fluffy fried dough showered with mountains of sugar. I think we ate beignets every day; or almost for a whole week when we were there. Soft pillowy dough fried to perfection. What’s not to love? Equally addictive is the coffee you drink with it; but that’s a story for another time. Today I’m going to walk you through the steps of how to make them and heads up; you need to let that sacred dough rest in the fridge overnight, but don’t let that deter you as the dough is super easy to pull together and then you cover it and let it go night night. 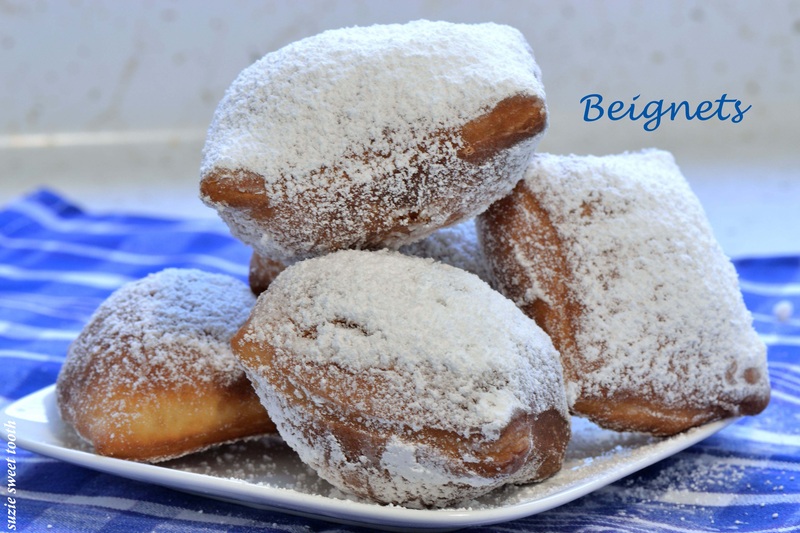 In the morning, you just wake up, make some good strong coffee and then get down to serious beignet making. Yeah, it’s pretty much a weekend event. 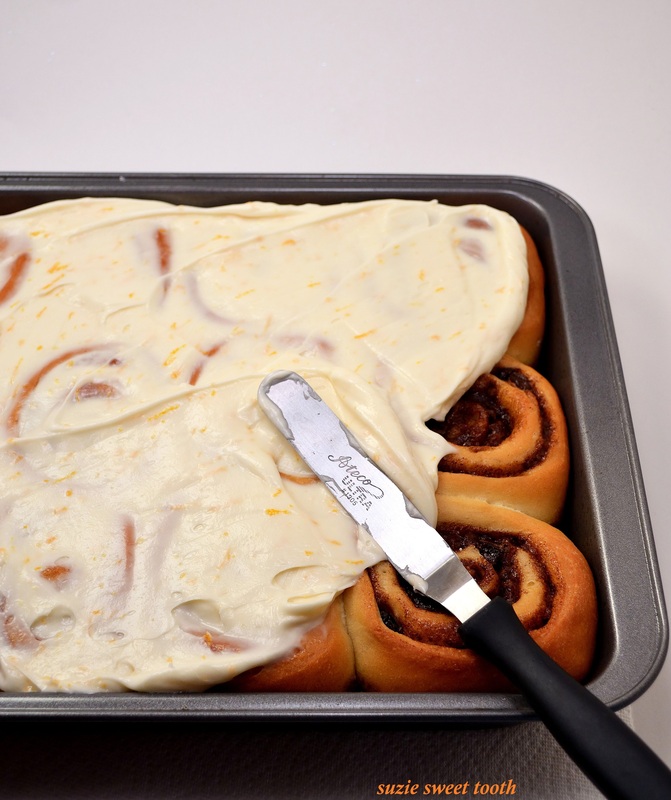 Make sure to invite some friends over [or not] as the dough makes quite a bit. Yep, let the good times roll…. 1. Make the yeast mixture: Combine yeast, 1/4 cup warm water, and 1 tsp. granulated sugar in bowl of a heavy-duty stand mixer; let stand 5 minutes. Add milk, egg, salt, and remaining granulated sugar. Whisk to combine. 2. Form a dough: Microwave remaining 1/2 cup water until hot (about 115°); stir in shortening until melted. Add to yeast mixture. Beat at low speed, gradually adding 2 cups flour, until smooth. Gradually add remaining 1 to 1 1/2 cups flour, beating until a sticky dough forms. Transfer to a lightly greased bowl; turn to grease top. Cover and chill 4 to 24 hours. 3. Roll and cut: Turn dough out onto a floured surface; roll to a generous ~ 1/4-inch thickness. Cut into 2 1/2-inch squares. 4. Fry until golden: Pour oil to depth of 2 to 3 inches into a Dutch oven; heat to 360°. Fry dough, in batches, 2 to 3 minutes on each side or until golden brown. Drain on a wire rack. Dust immediately with powdered sugar.